Word for Today: Let the FIRE component of the Holy Spirit be manifested. Word for Today : Let the FIRE component of the Holy Spirit be manifested. 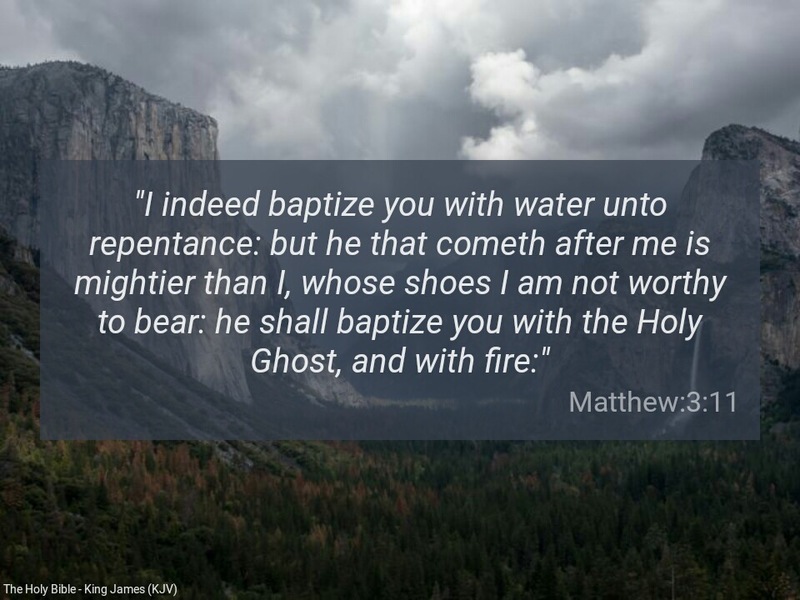 “I indeed baptize you with water unto repentance: but he that cometh after me is mightier than I, whose shoes I am not worthy to bear: he shall baptize you with the Holy Ghost, and with fire” ( Matthew 3:11). The FIRE component of the Holy Spirit baptism is real. It is a subject that may be difficult to teach for people to appreciate. The best way to understand the fire component of the Holy Spirit is to experience it. When you sufficiently soak yourself with the undiluted word of God, you will experience ‘fire’ burning physically in your body, soul and spirit. The more the fire burns the more you are set free indeed ( John 8:36). The more the fire burns, the more everything contrary to the nature of God finds it difficult to dwell in your body, soul and spirit. If you have been baptised in the Spirit, but you have not experienced the fire of the Holy Ghost, cry to God in Christ to visit you. It’s the fire of the Spirit that will effect the destruction of all yoke ( Isaiah 10:27). It was the manifestation of the fire component of the Spirit that led to revival of the early church in Acts of the Apostle ( Acts 2:3). When you sufficiently meditate on the word of God, you will begin to experience the fire of the Spirit. The word of God is fire (Jeremiah 23:29). If you are on fire for the Lord, everything contrary to the nature of God in you or near you dies. The memory verse is also found in Luke 3:16. Brethren, you need a revival! Dear Father, please help us to experience the fire component of the Holy Spirit in Jesus mighty name. Amen. Previous Previous post: Word for Today: You cannot do it on your own. Next Next post: Word for Today: Where there is no joy, there is no God.